There’s always a slight legal mystery tour with European wine labels. “Chianti Superiore” is another. From what I can tell, and feel free to correct me if you have found better sources, this label means it cannot be from the Chianti Classico subregion, must have a minimum alcohol of 11.5% and the wine must wait, like Chianti Classico, until October following vintage for release (cf. Chianti which must only wait until 1 March). So for practical purposes it’s not Chianti Classico, but expectations may be greater than for a simple Chianti. In the unlikely event that you are still reading, thank you. Maybe I should write a guide for interpreting foreign wine labels. And what of the wine itself? 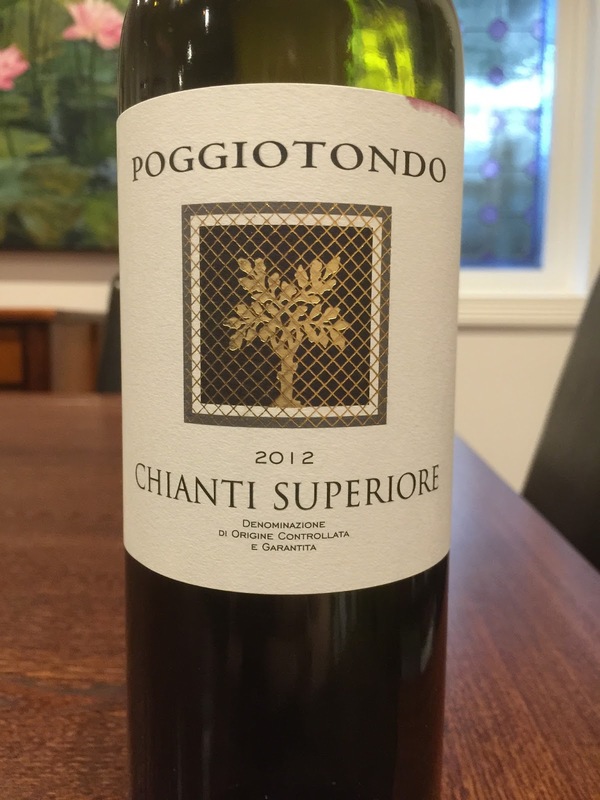 This particular Chianti Superiore is very typical in its sangiovese expression. Earth, cherry and some texture. Not amazing, but not bad for $25. Ah the joys of Euro wine labels. My favourite confusion piece is Montepulciano. Yes, it's a grape from Italy. Yes, it's also a wine made from Sangiovese in Italy. Fun times for all! Great example – guaranteed to ensure that no normal person takes a second look! My all time favourite would have to be the German wine classifications designed around a framework almost no-one outside of wine cares about (i.e. oechsle) but remaining mostly silent on very thing everyone does want to know i.e. is it sweet or not! !